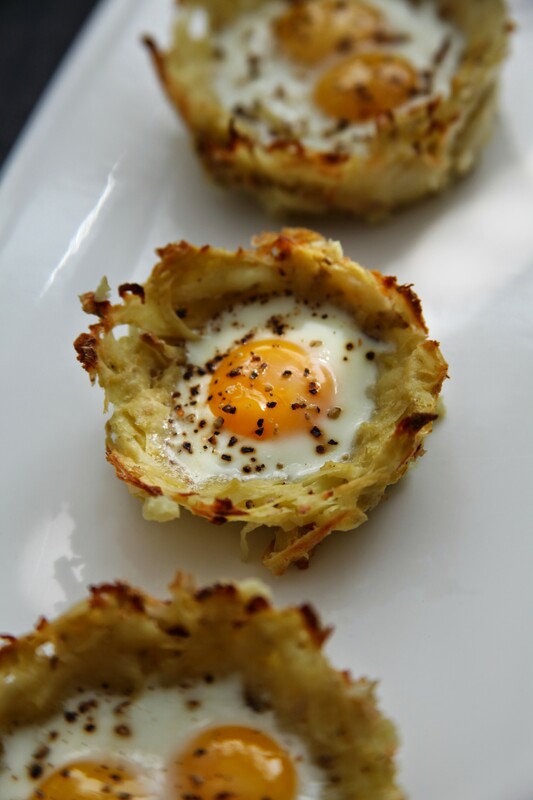 Potato egg nests: because you wanted to look like a sophisticated adult while eating fancy eggs and hash browns. This is one of those great recipes to have in your back pocket when you unexpectedly have people over for breakfast. Or to justify eating 2 pounds of potatoes alone. Live your nest life the potato egg nests way. #SEO. I made these with some quail eggs I got at my market. If you can’t find quail eggs, pop one regular chicken egg in its place. Or if you’re particularly decadent you could try a duck egg. Potato egg nests don’t discriminate. Try adding in some meat to these bad boys and deck it out if you please. Or just finally put that potato gun to good use. IDK what you’re into okay. Easy and cute potato egg nests recipe. Use these instructions to make fun potato egg cups. Either with a grater or food processor with grater attachment, grate potato chunks on top of a clean kitchen towel. Once completely grated, squeeze out potato juices over the sink. Transfer grated potatoes to a large bowl and combine with melted butter, salt, butter and any optional add-ins if desired (cheese, bacon, etc.). Brush either 6 medium-sized ramekins or half of a muffin tin lightly with olive oil. Lightly press a layer of grated potato into each ramekin to completely cover the bottom and sides of the vessel. Bake until lightly browned and cooked through, approximately 40 minutes. Remove ramekins or muffin tin from the oven and add cracked eggs. 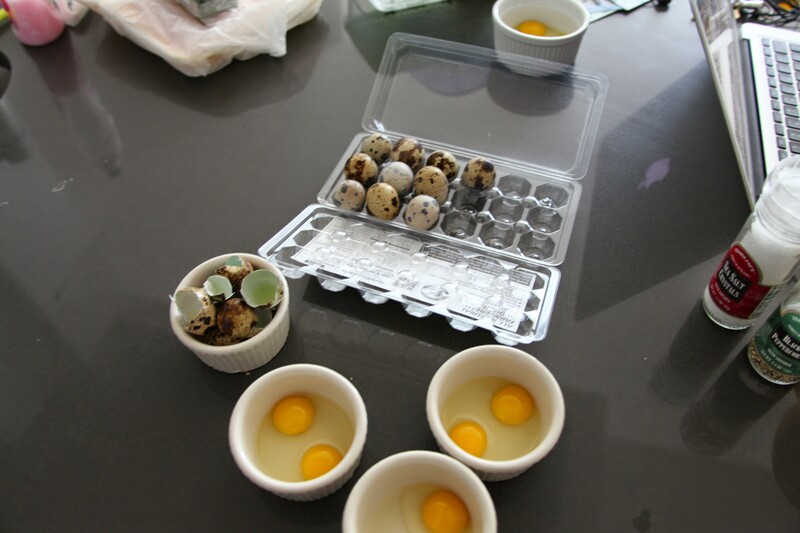 If using quail eggs, gently crack separately using a knife (those shells can be tougher than they look!). Crack fresh pepper on top if desired. Bake until whites are set but yolk is still running, approximately 5 minutes. Remove from oven and shamelessly eat all 6 potato egg nests in one sitting.